Where there is a home, there is a SECKON! TIPS: 1.Our products are sold with LIFETIME WARRANTY. You can return if you are not satisfied. 2.We use NEW TECHNOLOGY PE board instead of traditional paper board,which is lighter weight,odorless and waterproof. So you can wash its surface. 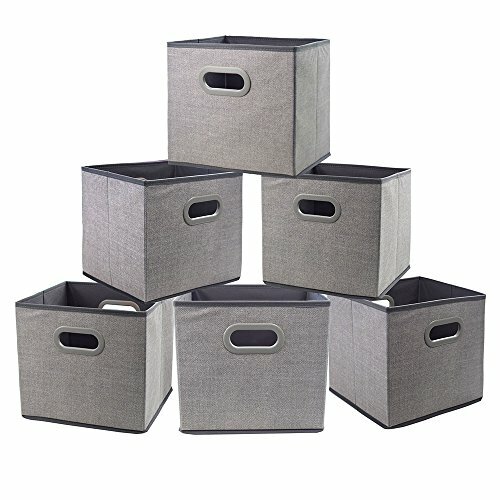 PRODUCT DETAILS: Item Name: Linen Fabric Collapsible Storage Cube with Metal Handles Color Design: Grey color Material: Linen Fabric Surface, NEW TECHNOLOGY PE cardboad, metal handles Usage:Storage for toys, clothing, blankets,books,etc. Size and Capacity: SIZE:10.6x10.6x10.6 Inches CAPACITY: 20L Dear customer, if you have any problem, please feel free to contact us. Wish you have a good shopping experience! Material: Made with customized environmental NON-Woven materials, breathable and durable that keep your household essentials free of stuffiness, while preventing bad odors and mildew build up. Package: -3 collapsible zipper storage bags. 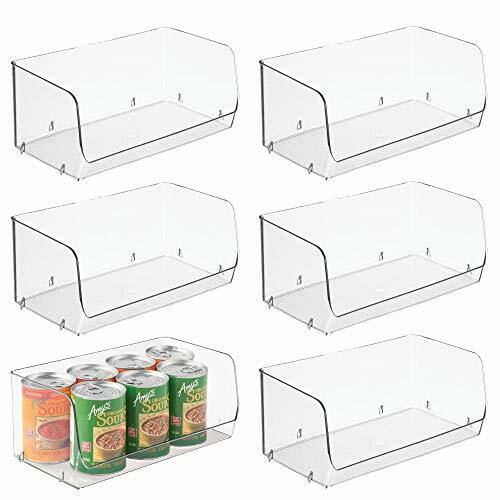 Specification: -The dustproof under bed organizer allows air to circulate so that the items inside will smell fresh for a longer period of time. -Easily to pull out or move with the 2 reinforced handles. 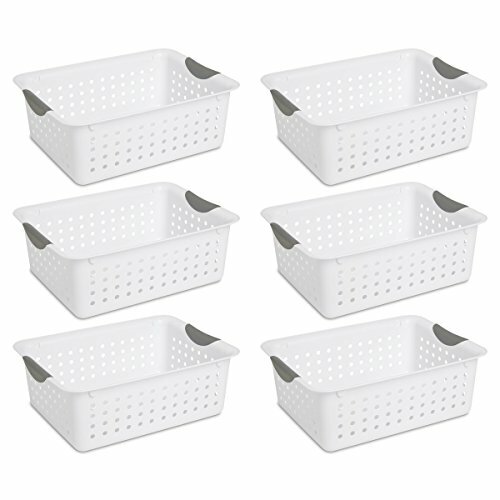 -The bedding bags storage is breathable and the front is transparent so you can see what you have put into it and it protects everything from mold. 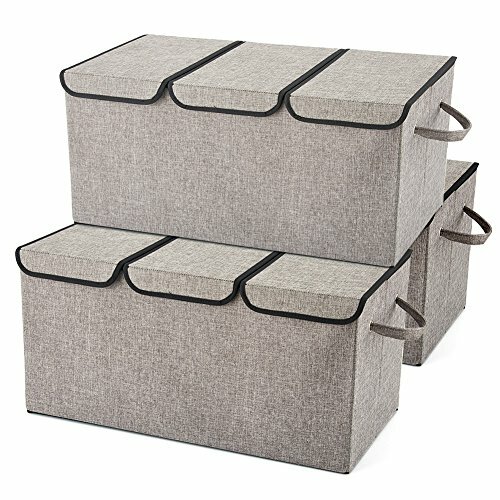 -Excellent storage containers for clothes for just keeping things organized under the bed or wardrobe and making it infinitely more orderly.-Not like other hard boxes or shelves or bin, this bedroom organizer can be fold or squeezing to transport to a small place.-This linen storage containers perfect for organizing pillow, sheet, bedding and storing clothes, also works well for Holiday Décor, such as gift paper, gift wrap tissue. 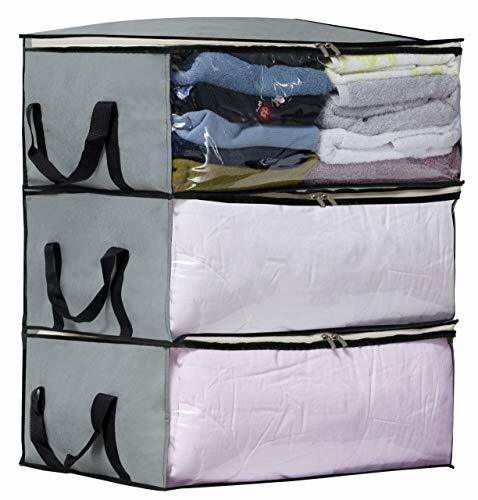 Perfect storage solution,Easy to carry,fold and sort clothes,Two strong handles,Saving space Features Are you still fretting about how to sort and organize your clothes? 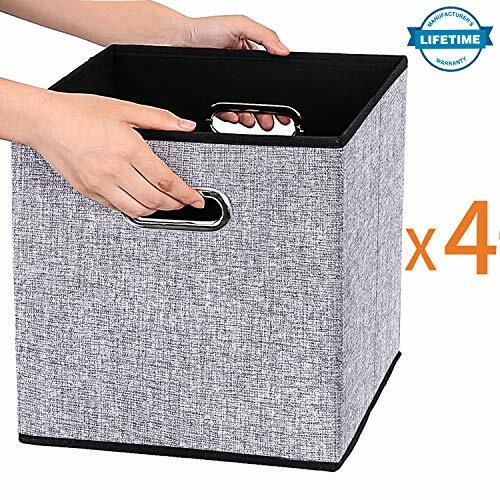 -Homyfort foldable Storage cubes Perfect for organizing and cutting down on clutter ,can be used to store clothing ,underwear, socks, sweatshirts , toys, crafts and so on. 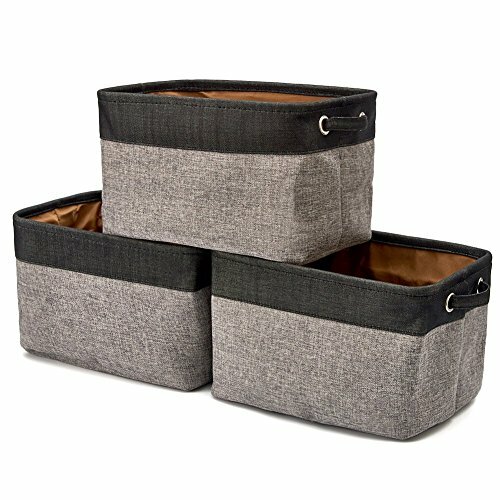 -These fabric storage bins easily side in and pull out of cube shelves thanks to their 2 sturdy handles! 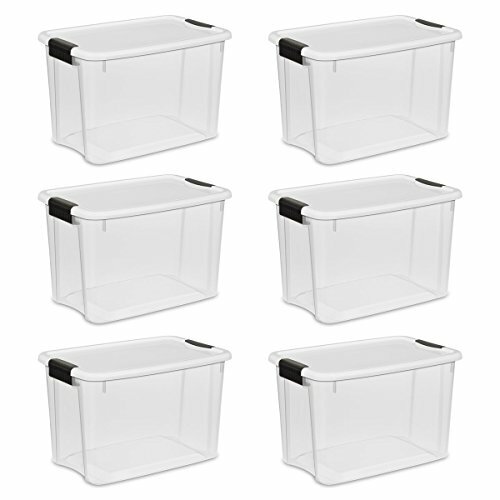 Durable, eye-catching and easy to use, these Collapsible Storage Cubes are a great choice! -These Collapsible Storage Cubes have been specially designed to fit perfectly with their Storage Cube counterparts ,together they form an unbeatable combination of color, organization, and style. Looking for more Storage Containers Shelves similar ideas? Try to explore these searches: 4 Stones Drop Earrings, Filigree Heart Ring, and Red Glazed Garden. Look at latest related video about Storage Containers Shelves. Shopwizion.com is the smartest way for online shopping: compare prices of leading online shops for best deals around the web. 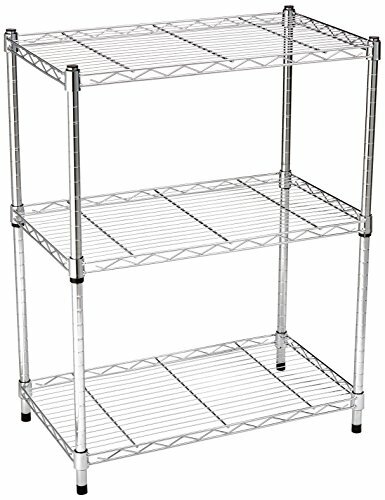 Don't miss TOP Storage Containers Shelves deals, updated daily.